Description : A Simple way to meet people and find new music just by playing songs on your computer and your iPod. 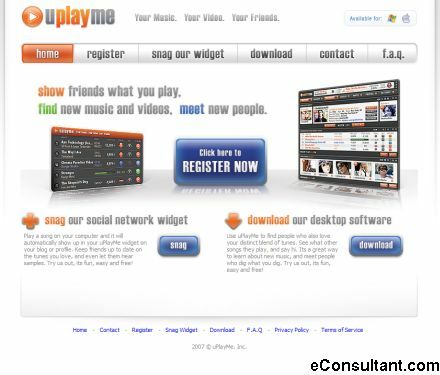 Download the software and uPlayMe finds people who are playing the same music and shows you what they’re listening to. You can chat with them, visit their pages on other sites like MySpace, or just find new music to listen to.